ISACA Central MD Chapter invites members and guests to our annual Orioles ball game social event. Please join us on Friday, July 12, 2019 for an evening at Camden Yards. TIME: Pregame Party from 5:35 PM to 7:00 PM. Game start at 7:05 P.M.
GAME SEATS: 100 seats in Section 87, under the overhang next to bullpen. ALL-YOU-CAN-EAT BUFFET - Boog Powell's Pit Beef, Turkey, and the fixin's - Hot Dogs with trimmings - Pulled Pork BBQ - Chesapeake Style Coleslaw - Salad - Seasonal Fruit - Desserts - Assorted Sodas and Bottled Beer (Some menu changes may occur at time of game). 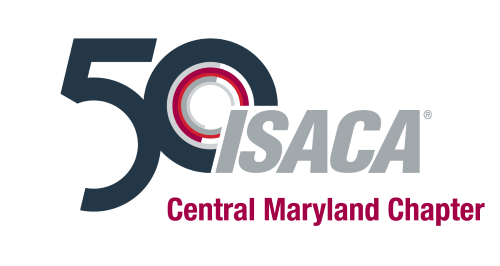 In celebration of the ISACA 50th anniversary, we will continue with our giveaways for children, and we have added adult giveaways valued at over $50 and adult door prizes to include signed baseballs and Amazon gift cards. TICKET ELIGIBILITY/LIMIT: All chapter members are eligible for TWO subsidized event tickets at a cost of $40.00 each. Member number is required for subsidized tickets. If you attend at least 3 monthly chapter training events or 1 chapter seminar, you are eligible to acquire up 5 subsidized tickets. All others are limited to FOUR tickets at full price of $100.00 each. To demonstrate eligibility for more than TWO tickets, please provided the Central MD Chapter training attended (3 monthly training sessions or 1 seminar) for the period September 2018 to May 2019 during the registration process. All registration requests will be verified before tickets are assigned. Members - $40.00 each for Central Maryland Chapter Members and member guests. All guests eligible for this subsidized price MUST BE SPONSORED by an attending ISACA Central MD Chapter Member. Nonmembers - $100.00 each for members of other ISACA Chapter, ISSA members, and members of Baltimore Chapters of the IIA, AGA, and CFE and their guests. LIMIT of 4 tickets. PAYMENT: Only credit card payments will be accepted for this event. Ticket Mailing: Tickets will be mailed 1 week before the event (July 5, 2019), to the address provided during registration.